Designed for everyday use and for every cuisine, the Monolithic Cookware line from JIA Inc covers all your home cooking needs. The Monolithic Casserole features the collection’s signature aesthetic, created by designer Naoto Fukasawa. 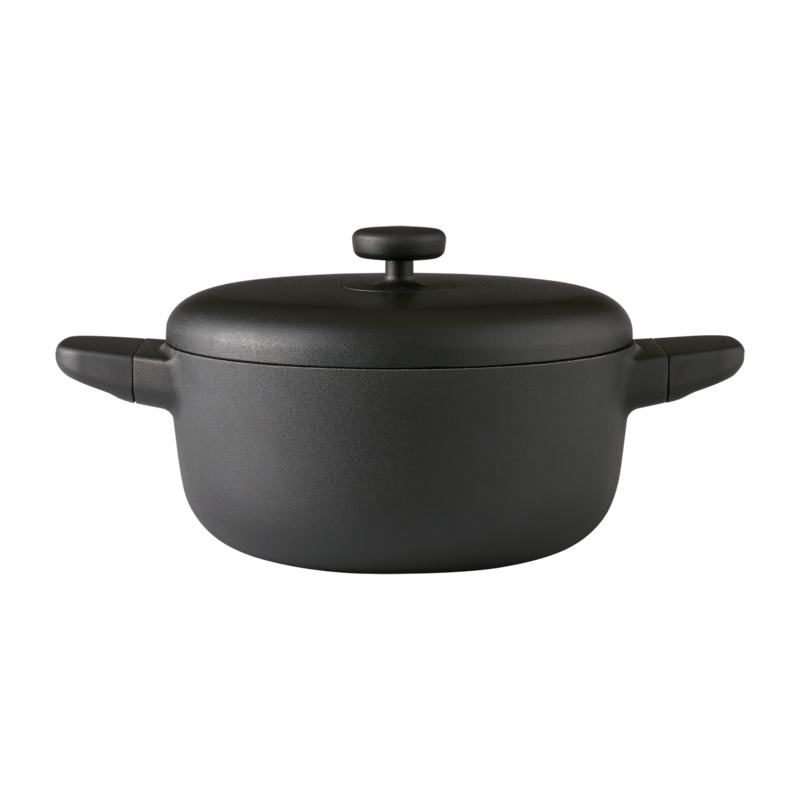 Minimalist and modern, the casserole also has a black finish that contrasts the food to make it look brighter and more appetizing. The lightweight cast aluminum casserole features Teflon™ Profile non-stick technology and a cast iron finish. Since aluminum has great thermal conductivity, the user can reduce both the cooking times and the energy consumption. This product is also compatible with the latest induction heating technology. Use this Monolithic Casserole for braising, boiling, and stewing. Complement this product with the frying pan, sauce pan, and utensils from the same line.